The ultimate in wearable tech! 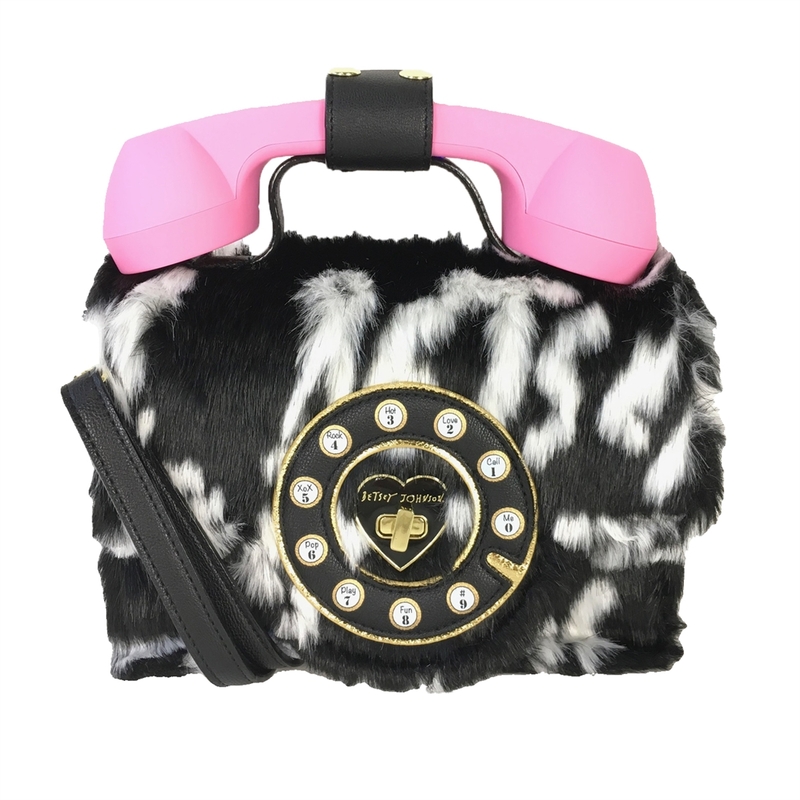 Betsey's Johnson's Hello phone crossbody features a functional wireless retro telephone headset that can be paired with any phone to talk! Convertible crossbody shaped in retro telephone crafted in patterned faux fur. 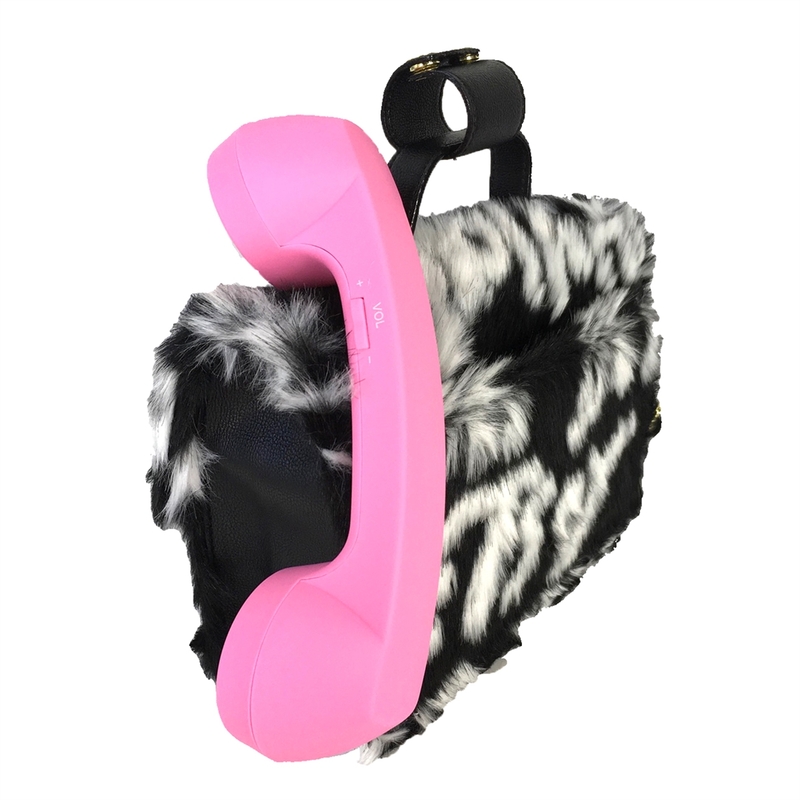 Top wireless retro phone headset can be paired with your phone to to listen & talk! Charging cable & instructions included. Front features phone dial. Logo plaque. Back slip pocket. 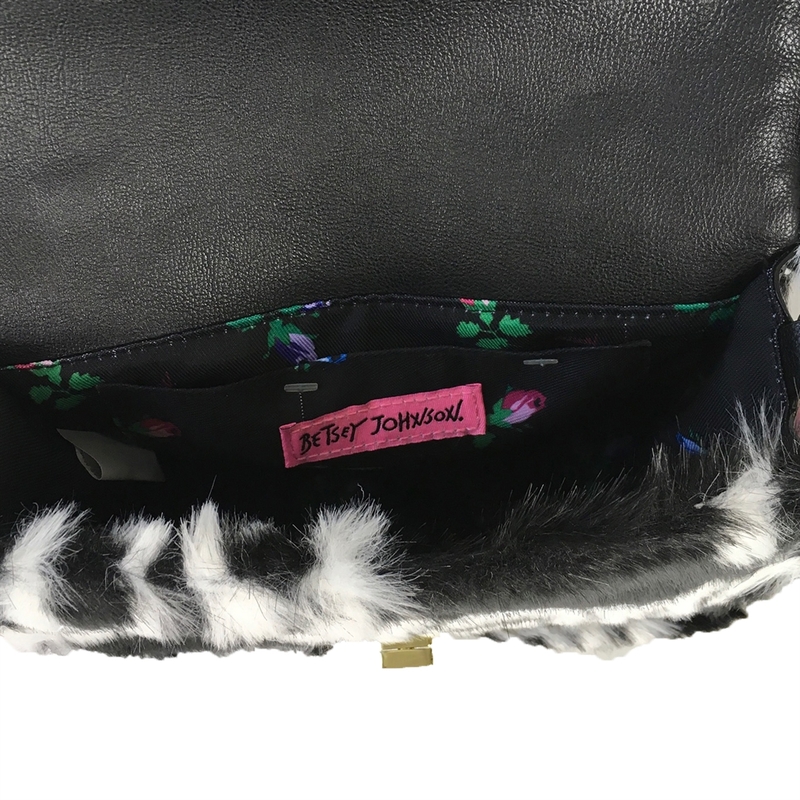 7''H x 8.5''W x 4''D Adjustable strap to 23"